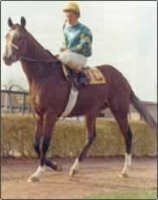 Did you know that every horse that ran in today's Kentucky Derby was a descendant of Northern Dancer, a 1964 champion? Did you know that horses from his line have drawn as much as $10 Million at auction? Why is that? Because DNA matters. Fast horses have fast offspring. My kids are great-looking because their mother rocks the planet. You get the idea. This week, the Access staff will spend some time swimming in our gene pool. We're proud of our heritage. We're very clear that we don't want to be like North Point. We are North Point. Our strategy, our mission, our DNA...it's the same. I'll be posting from Atlanta, hopefully with pics & video of the sessions. Odds are good—it's going to be a great week!